If you’re not sure how to do anything, try Googling the names. There are lots of great workout resources and videos out there that can help. Each day, I will tell you how many of each exercise you need to do the next day to participate in the challenge with me. And as the number of times you do each exercise goes up, feel free to break them into two sets of eight, instead of one set of 16. Taking short breaks between won’t hurt your results! 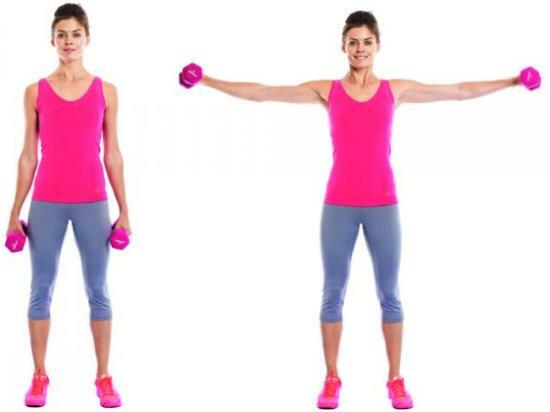 8 of each of Bicep Curls, Overhead Tricep Extensions, Lateral Shoulder Raises, Front Shoulder Raises, Bent Over Rows, Shoulder Presses, and Push-Ups. 12 of each Bicep Curls, Overhead Tricep Extensions, Lateral Shoulder Raises, Front Shoulder Raises, Bent Over Rows, Shoulder Presses, and Push-Ups. 8 of each of Bicep Curls, Overhead Tricep Extensions, Lateral Shoulder Raises, Front Shoulder Raises, Bent Over Rows, Shoulder Presses, and 8 push-ups. On the harder level, for Day 2 you will simply repeat Day 1! It’s as easy as that! I will give you more exercises and how I’m feeling with the challenge everyday. Get healthy with me and Health Alliance!